California's School Pension Crisis: Who pays and what could be done? As pension costs continue to soar, they are taking up a bigger share of the new funding that districts receive each year. Meeting their pension obligations and other rising costs limits the ability of districts to fund other academic and student support programs or increase pay for teachers. But, while Gov. Gavin Newsom has proposed providing some relief, the longer term burdens will still remain. EdSource’s Louis Freedberg and John Fensterwald, and leading experts on California’s pension system discuss the challenge of rising pensions costs, address the root causes and explore potential solutions. Whether you are familiar with school districts’ pension obligations or are just trying to get a handle on this problem, this webinar is for you. The webinar, part of an ongoing series of deeper dives into the Getting Down to Facts research released earlier this year, is co-sponsored by Policy Analysis for California Education (PACE). 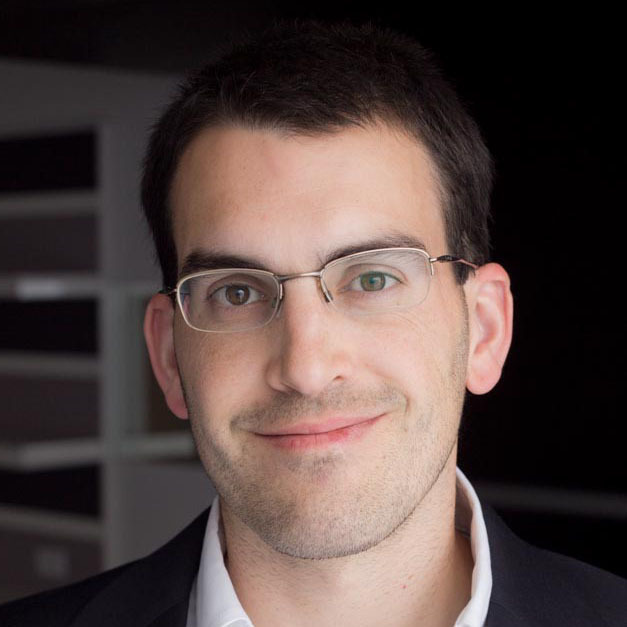 Louis Freedberg joined EdSource as executive director in July 2011. For more than two decades, Freedberg has analyzed and reported on local, state, and national education policy issues. Before coming to EdSource, Freedberg was the founding director and senior education reporter at California Watch, a pioneering nonprofit journalism venture. He was also a founder of the California Media Collaborative, based at the Commonwealth Club of California. Prior to that, he spent more than a decade at the San Francisco Chronicle, where he was an award-winning education reporter, Washington correspondent, columnist, and member of the editorial board. He has served as an executive director of several nonprofit organizations, including Youth News in Oakland. He also directed youth programs at Pacific News Service/New America Media. A South African by birth, he founded and directed the Institute for a New South Africa. Freedberg has been a John S. Knight Journalism Fellow at Stanford University, a Visiting Fellow at the Urban Institute in Washington D.C., and a Fellow at the Institute for Justice and Journalism at the University of Southern California. He has a Ph.D. in cultural anthropology from UC Berkeley and a B.A. in developmental psychology from Yale University. John Fensterwald joined EdSource in 2012. Before joining EdSource he was editor and co-writer for the “The Educated Guess” website, a leading source of California education policy reporting and opinion, sponsored by the Silicon Valley Education Foundation, which he founded in 2009. For 11 years before that, John wrote editorials for the Mercury News in San Jose, with a focus on education. He worked as a reporter, news editor and opinion editor for three newspapers in New Hampshire for two decades before receiving a Knight Fellowship at Stanford University in 1997 and heading West shortly thereafter. Cory Koedel is an associate professor of economics and public policy at the University of Missouri and author of Pensions and California Schools, a study for the research project Getting Down to Facts II. Dr. Koedel’s work has been widely cited in top academic journals in the fields of economics, education and public policy; and he has served on technical advisory and review panels for school districts, state and federal agencies, and non-profit organizations. 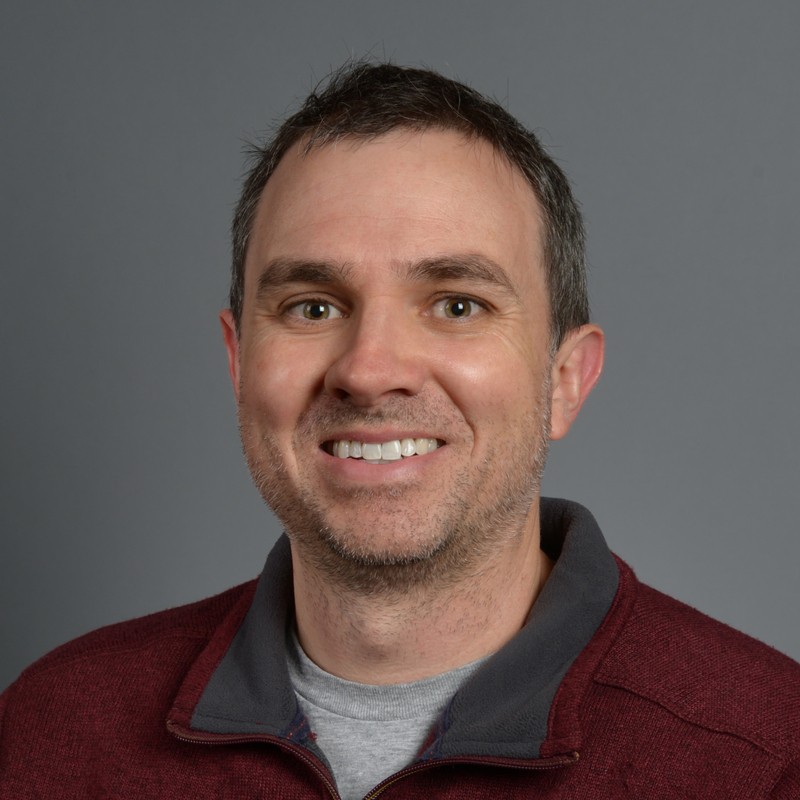 Dr. Koedel is a co-editor for the Economics of Education Review and serves on the editorial boards for Education Finance and Policy and Educational Evaluation and Policy Analysis. He received his PhD in economics from the University of California, San Diego in 2007. Grant Boyken is the Public Affairs Executive Officer at CalSTRS, the largest educator-only pension fund in the world. Mr. Boyken provides strategic leadership and oversight over CalSTRS External Affairs, Communications, and Governmental Relations divisions. Mr. Boyken joined CalSTRS as the Public Affairs Executive Officer in November 2016. Prior to that time, he worked in the State Treasurer’s Office from 2008 to 2016, first as the Pension and Benefits Officer, and for the last two years, as a Deputy State Treasurer. 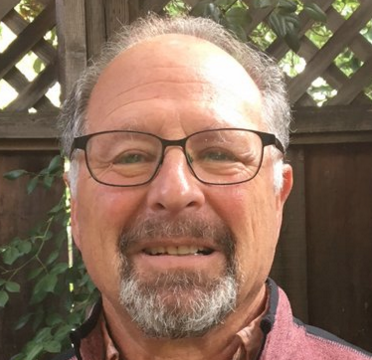 As part of his responsibilities, Mr. Boyken also acted as the Treasurer’s representative on several governing boards, including CalSTRS, so he brings with him extensive knowledge of the plan design, legislative history and organizational strategic priorities. 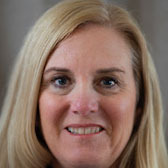 Denise Bradford is an incoming board member of the California State Teachers’ Retirement System, representing pre-kindergarten to 12th grade educators. Bradford is an elementary school teacher and new-educator mentor and curriculum leader in Saddleback Valley Unified in Mission Viejo. She has served as chair of the California Teachers’ Association’s Retirement Committee since June 2015 and also is president of the Saddleback Valley Educators Association. She will begin her term on the CalSTRS governing board on Jan. 1, 2020. Chad Aldeman is a senior associate partner at Bellwether Education Partners, where he has worked on the Policy and Evaluation team since 2012, advising clients and writing on teacher preparation, teacher evaluation, and college and career readiness. He also serves as editor for TeacherPensions.org. Previously, Chad was a policy adviser in the Office of Planning, Evaluation, and Policy Development at the U.S. Department of Education, where he worked on Elementary and Secondary Education Act waivers, teacher preparation, and the Teacher Incentive Fund. Prior to joining the department, Chad was a policy analyst with Education Sector. He has published reports on state higher education accountability systems, the potential of improving high school accountability by incorporating outcomes data, the school choice process in New York City and Boston, teacher pensions, teacher and principal evaluations, teacher salary schedules, and teacher preparation. His work has been featured in the Washington Post, New York Times, Wall Street Journal, InsideHigherEd, Newsday, and the Des Moines Register. Chad holds a bachelor’s degree from the University of Iowa and a master’s of public policy degree from the College of William and Mary. This webcast took place on March 06, 2019 at 1:00 pm. View the archived video of the live stream on this page, and check below or on the live broadcasts page for other EdSource streaming events. 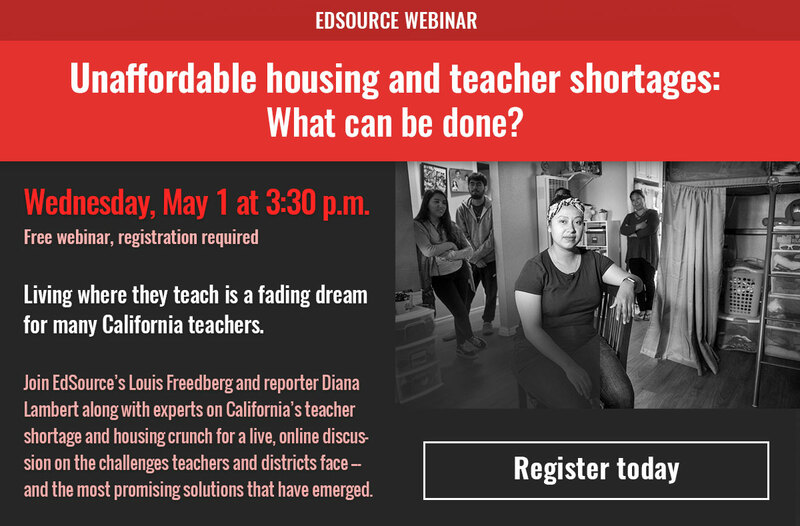 Get updates about EdSource webcasts and webinars and daily California education news.